I hope everyone had a great weekend, filled with lots of craft beer and grilled food. To make getting back to work a little easier, here’s some things to keep your mind off of the daily grind. If you’re in the Dallas area, you have to check out this dentist. First he takes the edge off, then he scrapes the plaque off, offering free beer and wine to his patients to help “ease nervous patients into the dentist’s chair.” This would make me want to go to the dentist a lot more often! Jeff points out that a new study shows that while only five percent of beer sold is craft beer, 60% of the population drinks craft beer. Based on my friends, I would say the number of craft beer drinkers is growing, but I had no idea it was that high. Liquid Diet: One year, 1,000 beers. I like to try a lot of different beers, but I have nothing on Forbes blogger David Ewalt who is attempting to taste 1,000 beers within the course of a single year. Now that sounds like my kind of research. 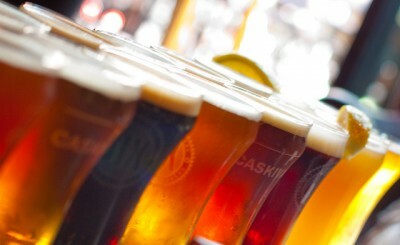 Jay shares a short piece that concludes beer doesn’t kill brain cells. Unfortunately, as he points out, the article comes from Maxium which isn’t exactly a scientific journal. Next article Help! My Home Brew Beer Has No Carbonation!